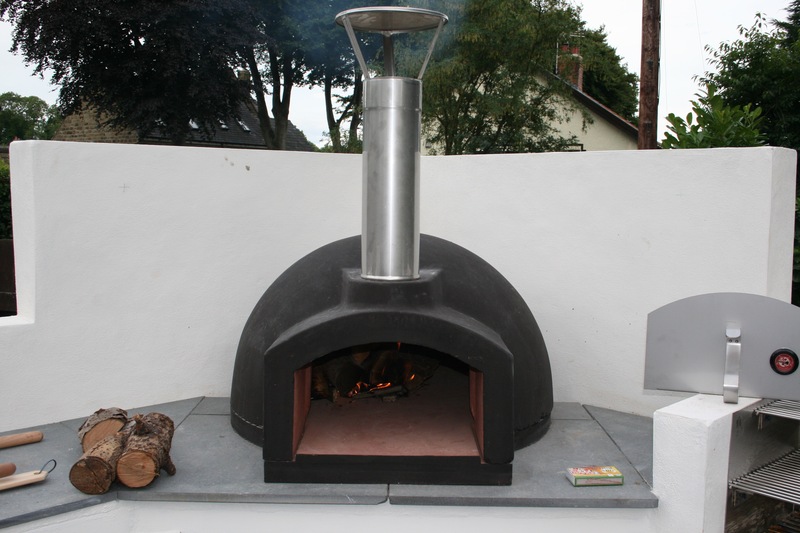 Here at The Stone Bake Oven Company we greatly value all feedback about our range of ovens and the service we provide. We welcome you to read through the experiences of past customers and to leave comments of your own. Hi we bought an outdoor oven from your company a few weeks ago! 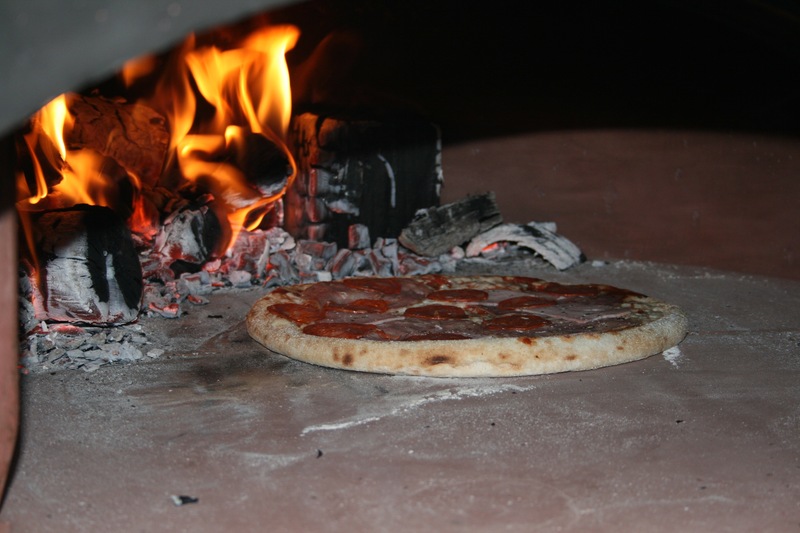 We absolutely love the oven and have been constantly cooking lots of different things! All the family love the pizzas! 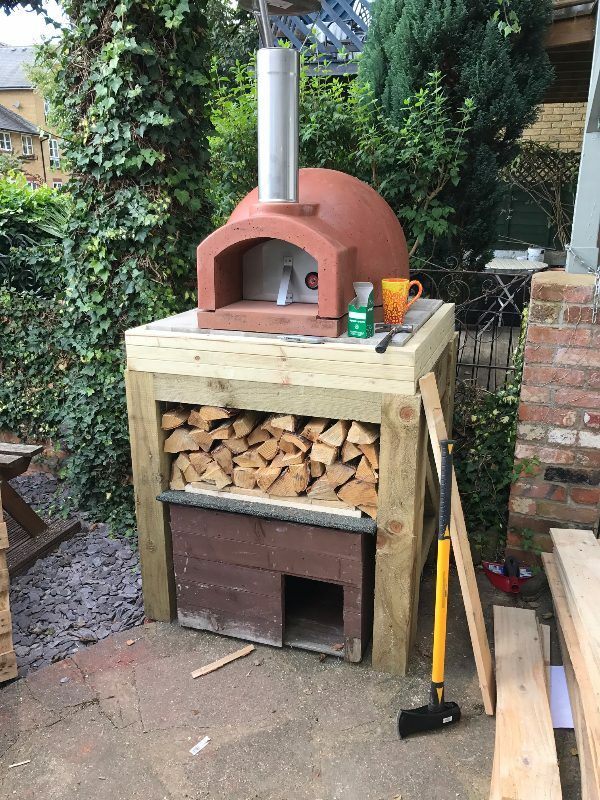 My husband built the oven and surrounded it with tiles a stainless steel work top and red cedar wood ! We are delighted with how good it looks! We look forward to continuing to cook lots of different things! We are planning a family get together soon! 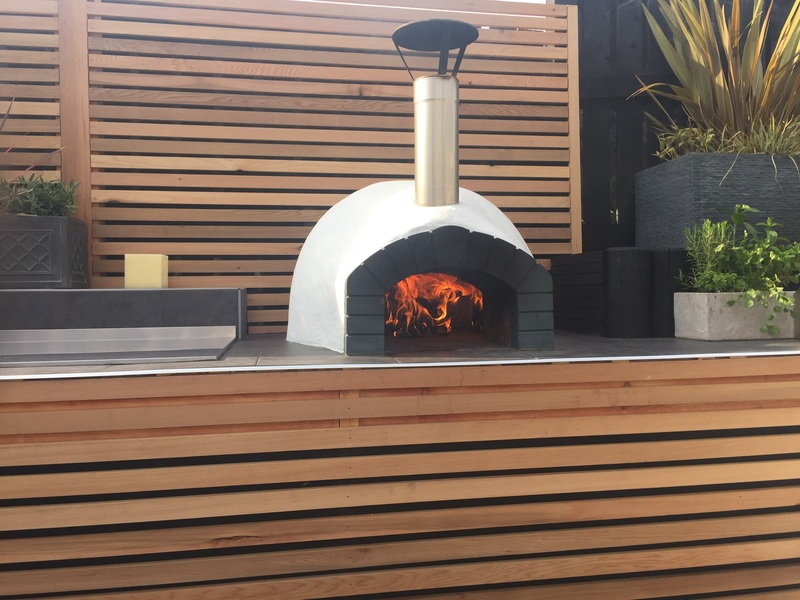 It has been a while know since getting our oven, and we are so glad that we did, we like to spend time outdoors and this just adds to our lifestyle. 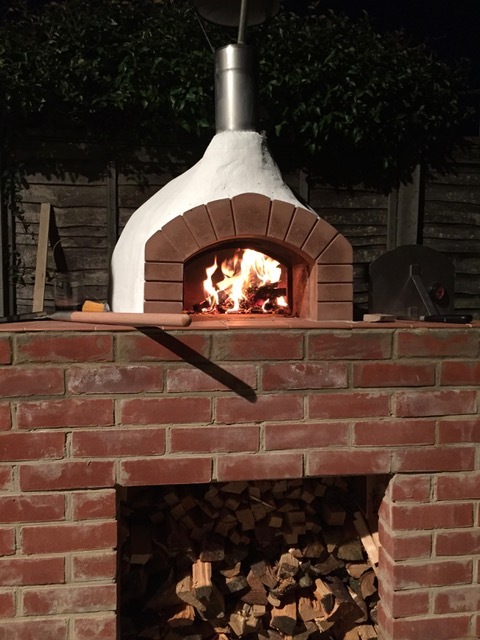 I have only just completed the whole project so am able to let you have some photos, this was a new experience for me, even though I am a very experienced DIYer, this was the first time I had ever done any brickwork. Cooking with fire is a unique experience, and takes some time to master, I still have a lot to learn, but that’s the joy of cooking outdoors. Please find some pictures of our finished project as well as some meals we have had so far. We love our oven and my only two regrets are not getting one sooner, and I should have gone bigger. Using it loads, everyone turns up at ours expecting pizza or a leg of lamb. 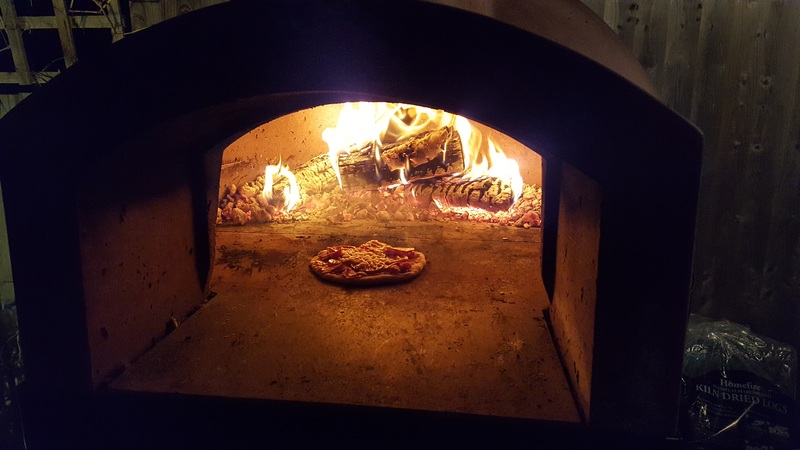 We are planning to move next year, so when we do that we will set the oven in properly, for now, we have it on its stand on its own. Everyone loves it and comments how they wish they had one, the food is great. We are still getting used to how to cook all different things in it, but we both agree it’s the best thing we have bought for the house. We are absolutely delighted with the oven. 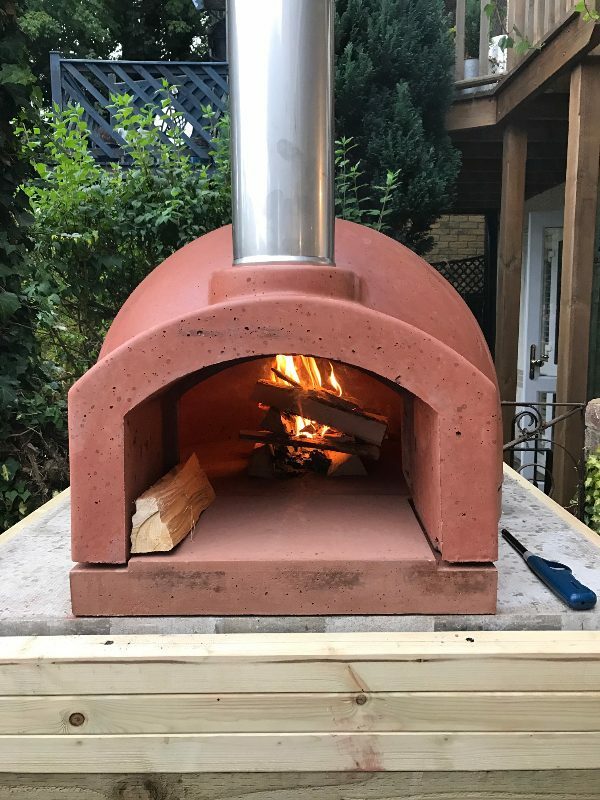 We finally finished it just before Christmas and used it a few times over the winter. I am getting better each time I use it….not getting it quite hot enough at first. 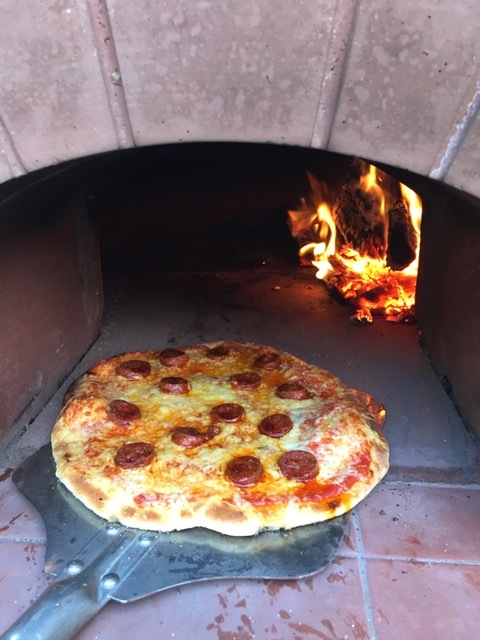 On Saturday we cooked Pizzas, followed by roast chicken and then slow cooked porridge for breakfast the next morning! All delicious. I shall turn our Aga off in the summer and use it a lot more. It is good to have the slow cooking possibility and it is incredible how the oven retains the heat. So very impressed with it, with your service, instructions etc. I did a lot of research and am delighted with the choice of your company. It’s an excellent product and friends and family love the variety of things we’ve been able to cook in it. We have just finished the project and the last coat of paint went on this morning. I have done some practice fires and we cooked for the first time last weekend – roast leg of lamb – which was amazing. 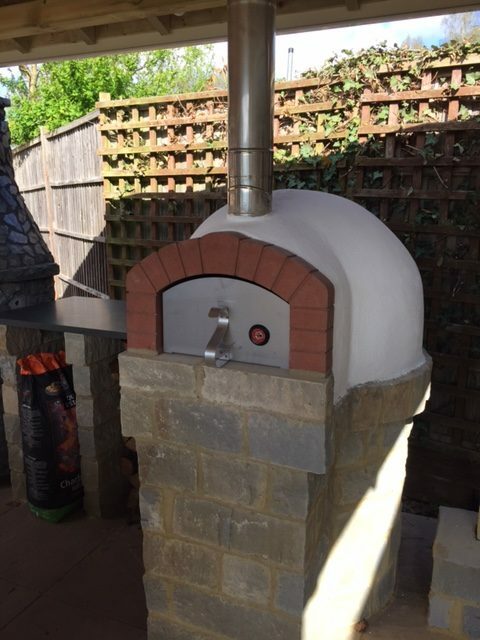 Have to say really impressed with the oven and ease of construction. 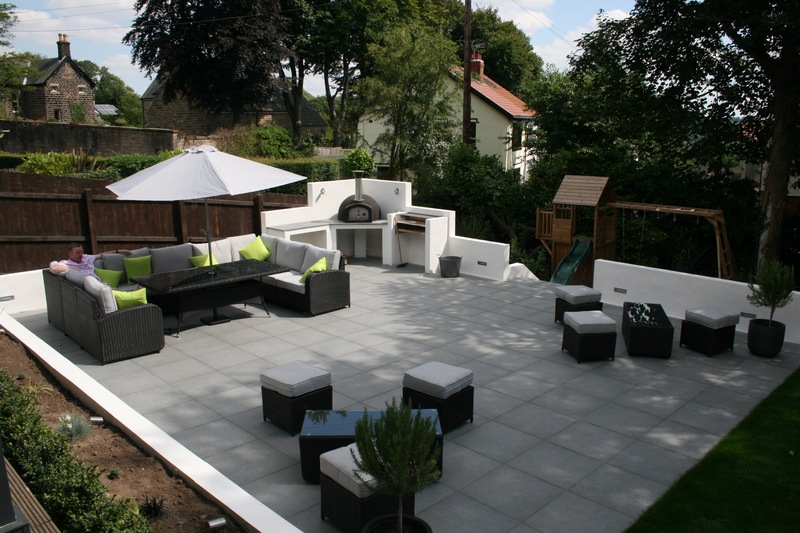 Customer service has been exceptional and we would happily recommend you to others – which we already have actually! I found you through google and reading reviews and just getting a better idea of the company. It paid off and as you can see the oven looks amazing.